Check out Bubsbee video of how she used our Autumn Air line to achieve her look. I'm back with another product review! I was so excited to tell everyone about the products i was able to try this weekend! The products i will be telling y'all about is..... Elaine hair & body products!! 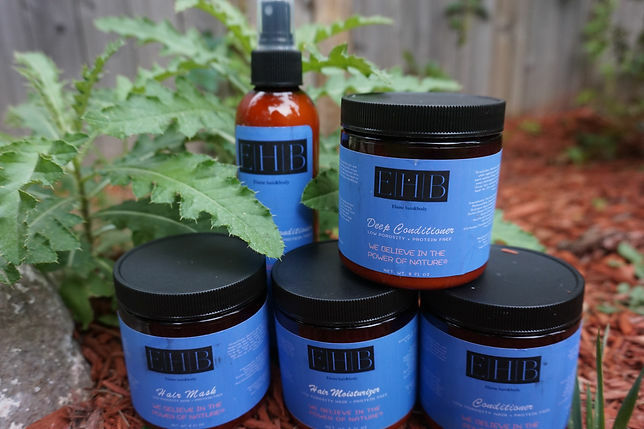 This company is a black owned small business which i love. Also this brand caters to high and low porosity hair. i love that this brand caters to different hair porosity. i have low porosity hair so my hair doesn't retain moisture well. this line is perfect if you are protein sensitive. none of these products contain protein. so lets get into this product review! I was able to try her entire line of her low porosity collection which includes her clarifying shampoo(not pictured), conditioner, deep conditioner, hair mask, leave- in conditioner, and hair moisturizer . First Step: I used the clarifying shampoo when i first saw the consistency i got scared because it is very watery but it lathered once i put it on my hair. let me tell y'all i loved this shampoo! i was shocked that i was able to detangle my hair and the shampoo was not stripping at all! my hair felt clean and moisturized. This shampoo contains african black soap which acts as a deep cleaning agent. this shampoo can be used weekly if desired. step two: next i used the hair mask which this is a clay mask. which this mask contains bentonite clay. 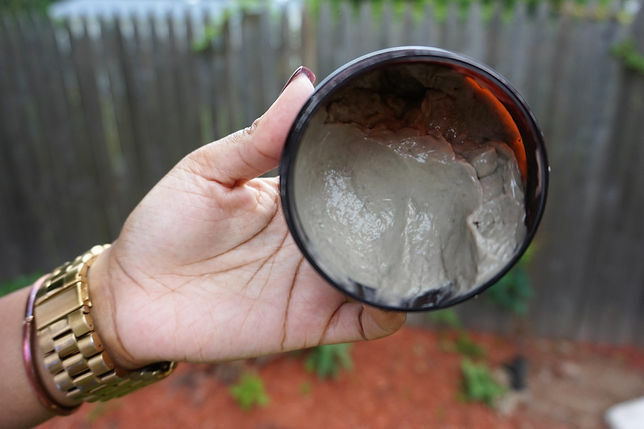 bentonite clay hydrates, softens, and draws out toxins from your hair. this hair mask had good slip when i applied this to my hair which is a plus. i left this mask on my hair for 30 minutes with heat. after i rinsed this out my hair felt a little stripped but not dry. i would use this mask once a month when i want a deep clean. clay mask sometimes can be stripped which is not a bad thing because you are getting all the product buildup in your hair. Step three & four: I used the conditioner first to detangle my hair which the slip was amazing! detangling was a breeze. my felt super hydrated and moisturized. this conditioner i would definitely recommend if you are looking for moisture and hyrdation. 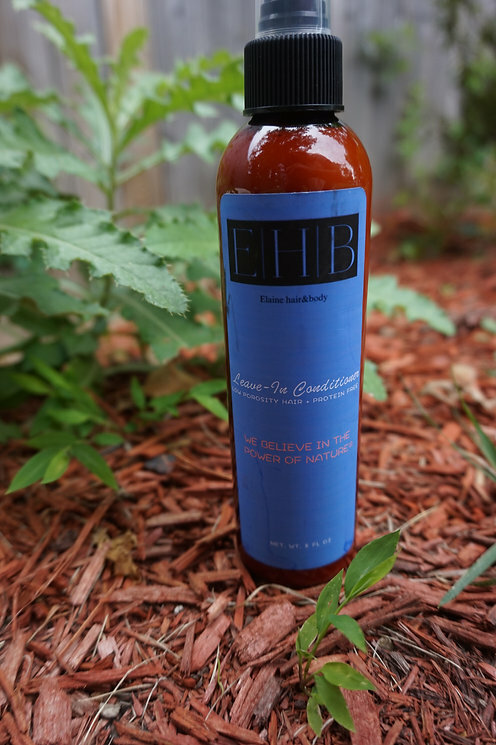 this conditioner contains mango and shea butter which hydrates and softens hair. now the deep conditioner blew me away this product is bae!! i left this deep conditioner on my hair for 30 minutes with heat. when i rinsed this deep conditioner out my hair felt like butter! my hair was so soft and moisturized! my curls clumped up instantly. 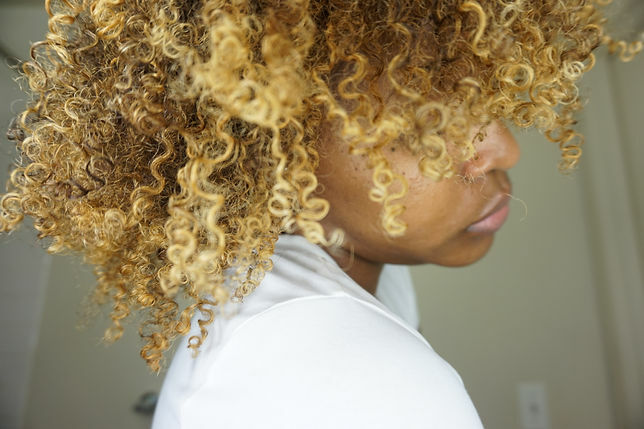 this deep conditioner hands down will be in my hair routine now! both of these conditioners are nice and creamy and not too thick. Purified Water,Behentrimonium Methosulfate (and) Cetyl Alcohol (and) Butylene Glycol,Mangifera Indica(Mango Butter)Seed Oil,Emulsifying Wax NF,Prunus Dulcis(Almond)Oil,Cocos Nucifera(Coconut)Oil,Glycerin,Vitis Vinifera(Grape)Seed Oil,Honey,Tocopherol,Phenoxyethanol,Bentonite Clay,Fragrance. step five: For styling I used the leave-in conditioner and hair moisturizer. The leave-in conditioner is lightweight and doesn't weigh my hair down. This leave-in conditioner had good slip to detangle. After I applied the leave-in conditioner I put the hair moisturizer on top. The hair moisturizer was very creamy and once I applied this on my hair, my hair felt moisturized. My style of choice was a wash n go. 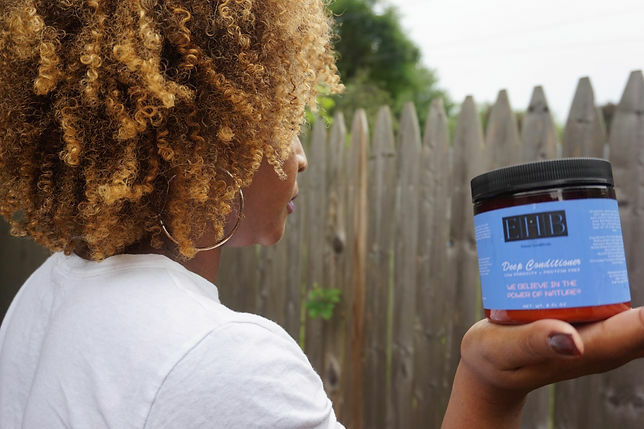 The leave-in conditioner and hair moisturizer are both infused with butters and oils to hydrate your hair. Check out another great review by Monz03b on our Peppermint Lavender shampoo and Moisture Retention Conditioner. 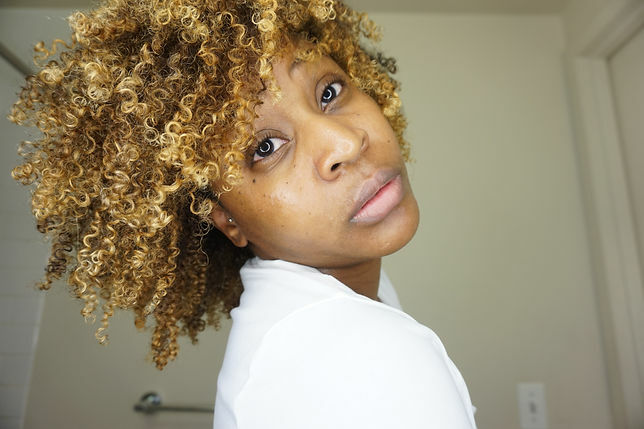 WhatAlexSays gives a great review on our Peppermint Lavender Shampoo and Moisture Retention Conditioner.